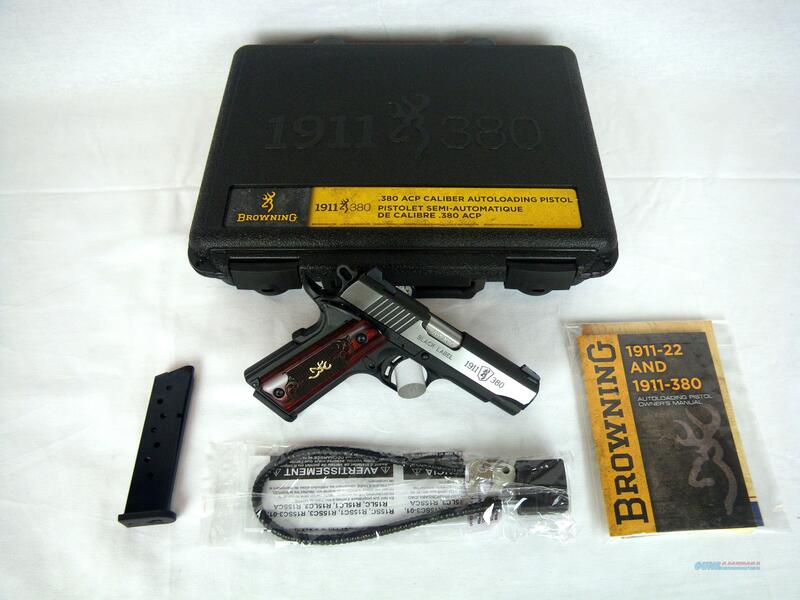 Description: You are bidding on a new Browning 1911-380 Black Label Medallion Pro in 380ACP with a 3-5/8" barrel. Out of the box, it is ready for accurate, functional shooting and easy carry. But it goes a step beyond with its great looks derived from its composite frame with machined aluminum subframe, blackened stainless steel finish with silver polished flats. Then add to that checkered rosewood grips with gold Buckmark logos. The steel nightsight bar and forward dot, dovetailed into the slide, are a fine finishing touch. Displayed images are stock photos. Any questions please feel free to ask (our phone number is in the additional information tab above).